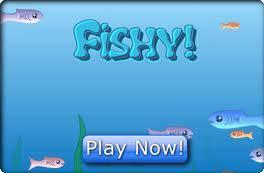 Fishy is a game where you start out as a small fish, and have to eat certain amounts of fish per level. You can’t eat any fish bigger than you, only fish that are smaller than you and sometimes fish that are the same size as you. Slowly you grow bigger, but if another fish touches you than you die and start out as a small fish. 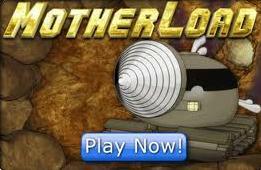 Motherload is a fun game that I found on xgenstudios.com. The point of the game is to go deep underground and find minerals (Ironium, Bronzium, Silverium etc. ), or at least you were told that that was your job. You really are supposed to go so deep that you’ll battle Mr. N (your employer) who is really the devil. Thought out the game you’ll have to buy upgrades in order to go as deep as possible. Over all this is a great game. Which tabs am I stalking? Welcome Gamers One and All to my wonderful little Gaming cult!